A White House Memo article on Monday about President Trump’s deflections and denials about Russia referred incorrectly to the source of an intelligence assessment that said Russia orchestrated hacking attacks during last year’s presidential election. The assessment was made by four intelligence agencies — the Office of the Director of National Intelligence, the Central Intelligence Agency, the Federal Bureau of Investigation and the National Security Agency. The assessment was not approved by all 17 organizations in the American intelligence community. Yet, as any intelligence expert will tell you, if you “hand-pick” the analysts, you are really hand-picking the conclusion. For instance, if the analysts were known to be hard-liners on Russia or supporters of Hillary Clinton, they could be expected to deliver the one-sided report that they did.. 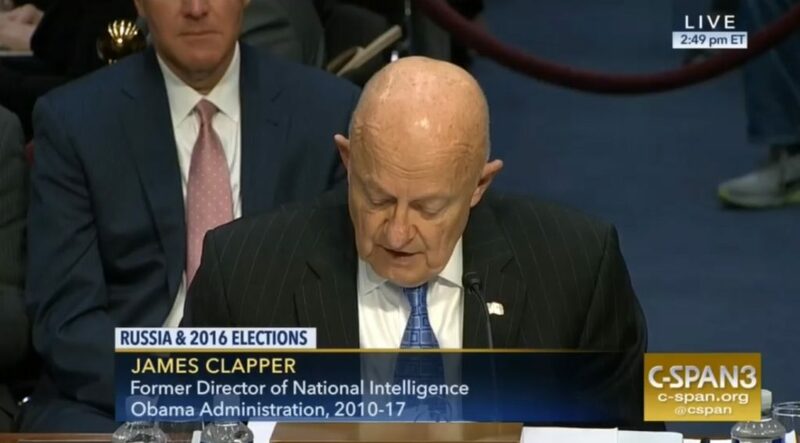 Despite being debunked in the testimony by James Clapper, the claim of seventeen intelligence agencies agreeing continued to be widely repeated. The correction by The New York Times is a step in the right direction. Now we will wait for a retraction of the unsubstantiated claims reported by Russia Maddow on MSNBC. The release of DNC email on Wikileaks, regardless of source, provided factual information which nobody has disputed about dishonesty on the part of Hillary Clinton, and the DNC violating their rules regarding being impartial in the nomination process. Posted in Donald Trump, George Bush, Hillary Clinton, Iraq, News Media. Tags: Donald Trump, George Bush, Hillary Clinton, Iraq, Rachel Maddow, Russia, Weapons of Mass Destruction, Wikileaks. RSS feed for comments on this post.. TrackBack URL. OK…. so this particular report was sourced to four of the seventeen intelligence agencies. Of course, that's a rhetorical question and the underlying truth is: why are you guys so passionately dedicated to defending the Russians? Sixty years have passed since even they stopped pretending to be leftists of any stripe. Today they are blatant kleptocrats and neofascists – worthy only of contempt by anyone claiming the proud mantle of Leftist. I suggest you either stop flogging this dead horse of "Russia didn't do nuttin'" or make an open declaration that your version of Progressivism is fundamentally reactionary. There is a long history of the United States going to war based on lies. It would be a mistake to do that again. Democrats are also making a mistake in blaming Russia for Clinton’s loss as opposed to facing the reasons why they keep losing election after election.